Contemporary/modern furniture pieces using a combination of rich, beautiful woods as well as painted and dyed engineered materials joined in curving, flowing lines and imaginative forms. I like to design furniture around shapes and contours rather than letting the form of the wood dictate the design. These pieces are meant to be more than functional or merely attractive. They should be interesting as well as fashionable and useful. I am not afraid to experiment with form or construction ideas. My designs have increasingly incorporated flowing lines and structures that make each piece recognizably elegant yet bold. Technique comes from decades of trial and error, and I love to combine wood with other materials such as metal glass. I have worked toward using sustainable materials in a way that does not lend itself to the typical 'GREEN' look. Thank you so much for taking the time to enjoy my designs. Please feel free to contact me if you like. - David. 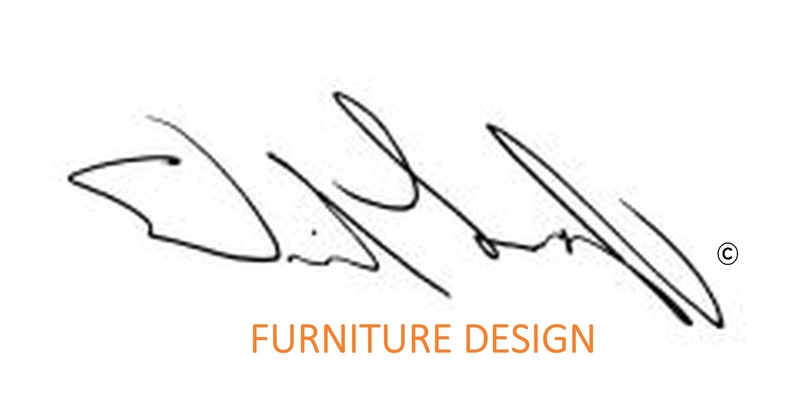 David Langley Furniture Design is an acclaimed source of distinctive, hand crafted furniture. Contemporary furniture pieces use a combination of rich, beautiful woods as well as other natural and manmade materials joined in curving, flowing lines and imaginative forms.